My First Word… grows up prides itself on its very unique selling point, we are totally flexible, you choose your hours not the other way round. Also, we don’t charge you any extra for your funded hours, and we never tell you when you can use them. We have been caring for children since 1999 and we are very well known for our outings around the local community in our pink high viz vests. We strongly believe that children are our future and nurture their independence in everything we do. We may cater for a large age range, however we adapt our planning to suit all the stages of learning. So the children have the opportunity to learn and develop as much as possible while they are in our care. We also cater for children up to 8 years during the school holidays and after school. Our cook prepares a three week rolling menu daily. Our kitchen has the highest grading from the local council and we hold several healthy eating awards. Working with the children and parents to ensure our menu is as enjoyable as possible. We cater for all special dietary requirements. At My First Word we pride ourselves on being flexible. Tell us what core hours you need and we accommodate them. All we ask is that you to give us a month’s notice of any changes to ensure we have enough staff to care for the children, as ratios are so important. We know its important for the children to feel part of the local community, it strengthens their knowledge and helps them understand the world around them. We take regular trips, from local parks and libraries to the Sealife Centre for the older children. Lisa is the owner and manager of My First Word. She has worked in childcare for 20 years and holds an NVQ level 3 in early years care and education. She began her career as a childminder and was graded an ‘outstanding’ independent childcare provider. She has lots of experience with children aged 0-5 and an excellent understanding of the statutory framework. She is currently studying Psychology at the University of Brighton. Jess is the deputy manager and has been working for My First Word… grows Up for 8 years now. 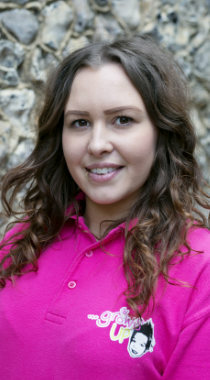 Jess began her career with us as a trainee, working her way through a level 2 and also level 3. 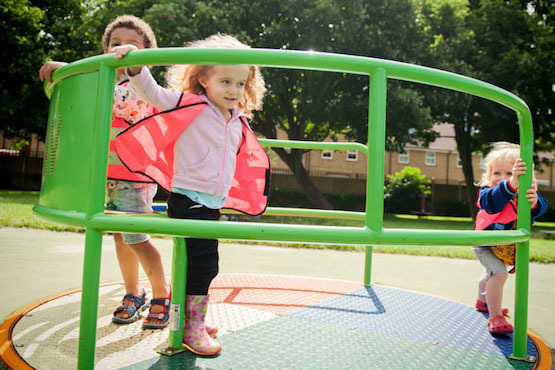 She has lots of experience working with children aged from 0-5 and an excellent understanding of the early years foundation stage and the statutory framework. 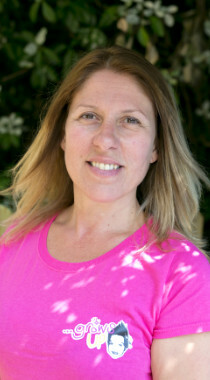 Kirstine has worked in childcare for 15 years and holds an NVQ Level 5 in early years and education. She has lots of experience working with children and an excellent understanding of the statutory framework. How do you know our nursery is perfect for your child? "We are so pleased for you all and glad that mfw has been given the correct grading this time! You are all so fabulous and really deserve this. Well done"
"Our daughter has been coming to my first word since she was a baby. She loves it and skips in each day without a care. It wasn't always like that but the care attention that the staff at my first word offer is second to none. The pictures they sent of her happily playing after a tearful goodbye helped me to know that she was absolutely fine and having a great time! Now that she is 3 she loves the messy play (and I am happy not to clean up the mess! ), the visits to the park and singing! I love that she is given the freedom to choose her activities each day. I think this is key to her love of learning, she would not like to be forced into doing anything, and my first word's approach both engages her and celebrates her own ideas." "Of all the local nurseries I visited I'm really pleased I chose MFW. My daughter loves her time at nursery, she always comes home singing (sometimes in Spanish!) and talking about all of her friends and what they have been up to. The staff always give Marcie a warm welcome, and me too, always taking the time to say hello and chat about how Marcie is doing. " "My son has been attending MFW for just over 1 and a half years now and loves it! Where do I start, he is learning so much all the time, he comes home singing new songs, new words and full of confidence. He loves playing with all the children and wonderful staff, they go for walks in the park and nature trails. He also does lots of baking and making things for me to treasure! 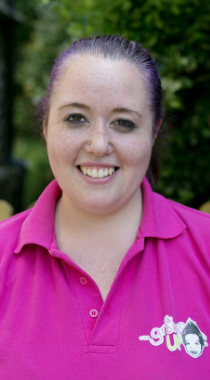 Lisa is a great front of house with a strong team behind her who all really care. My little girl will be joining her brother at the MFW team very soon. Thank you all you are great." "I love the setting. I love that it is open plan so children are free to play where they like. I also love that the children are not separated in to age groups so they all socialize and play together. " "They go above and beyond, feels like they genuinely care for Hester and Chip, the care sensitively and the professionalism they have shown with Chip has been astonishing, I’m so happy." "I feel confident leaving Beau in the care of the staff at MFW, it is a safe and caring environment in which Beau is very happy. " "My First Word has been brilliant for our son. You have been a huge part of his life, it's been like a family to him. Thank you for helping shape him into the happy, confident boy he is today."